0-60 Magazine posted up wallpaper of the Australian Group A R32 and the R35 GT-R. 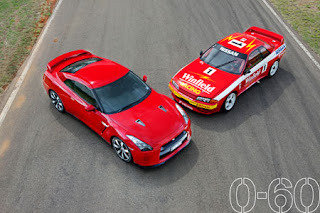 Wheels Magazine had the article with Mark Skaife driving both cars. Link after the jump. Follow the link for the wallpaper.